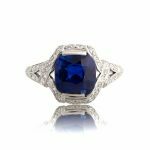 An exceptional Rare Vintage Retro Engagement Ring. 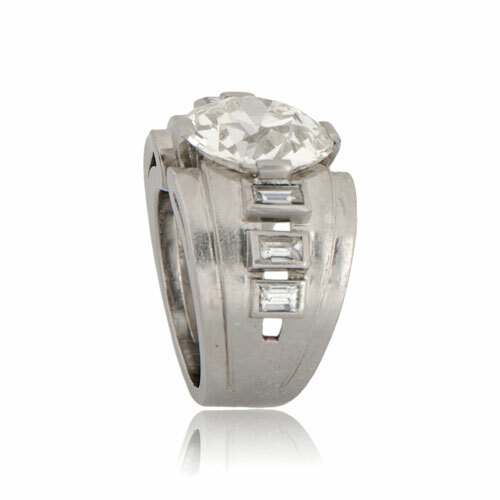 This ring is set in a stunning handmade platinum mounting. 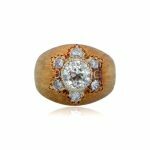 The stunning handmade mounting is adorned with a 6.79ct Old European Cut diamond which is flanked by three baguette-cut diamonds on either side. The profile of the gallery and shoulders creates a sculptural, geometric effect that is very indicative of early Retro jewelry. The center diamond is approx 6.79 carats, K color, and VS2 clarity. France, circa 1945. 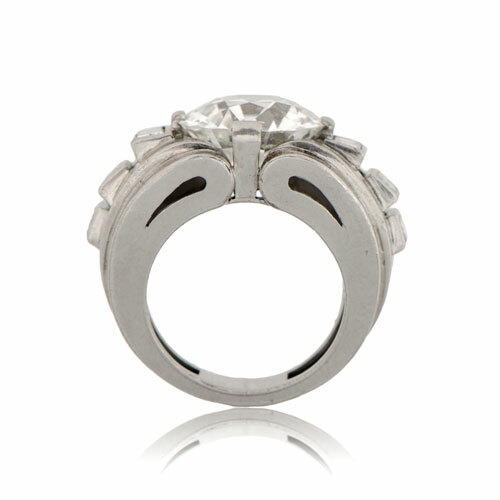 If you have any questions about this vintage ring, feel free to contact us. We will respond within 1 business hour. 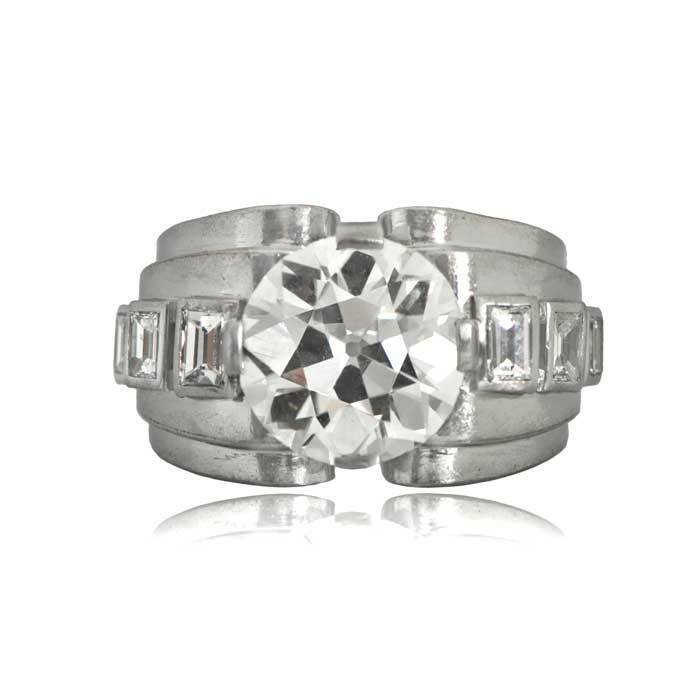 SKU: 10831 Categories: Old European Engagement Rings, Vintage Engagement Rings - Contact us and request additional pictures.